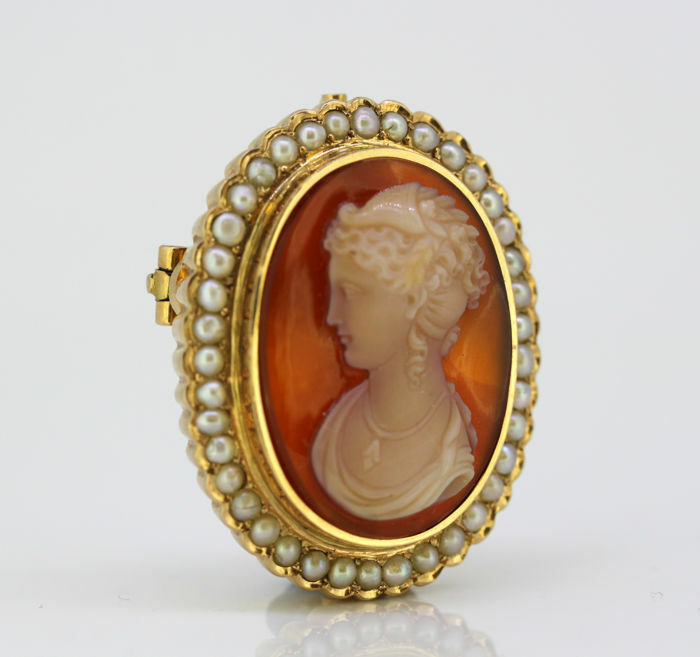 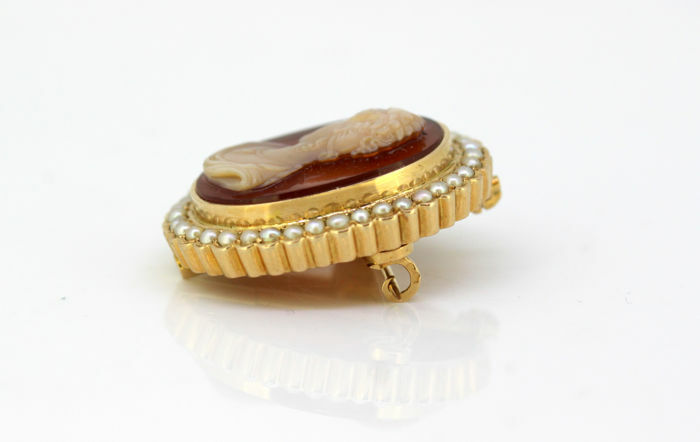 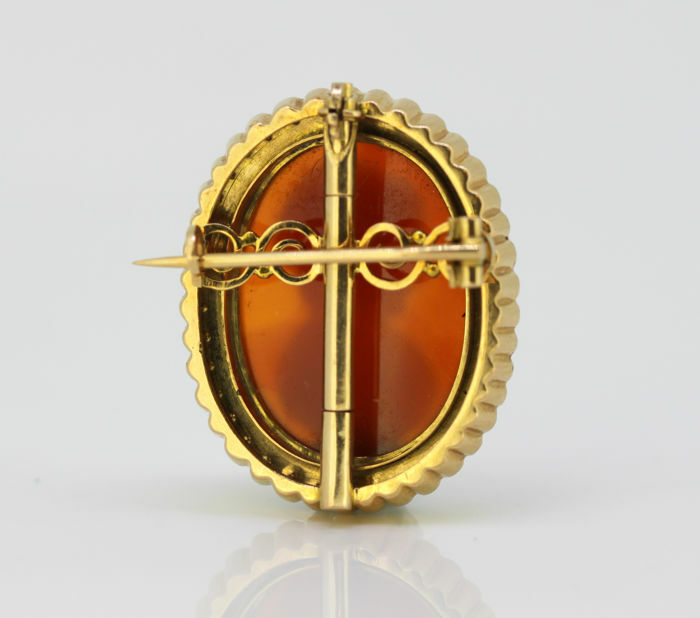 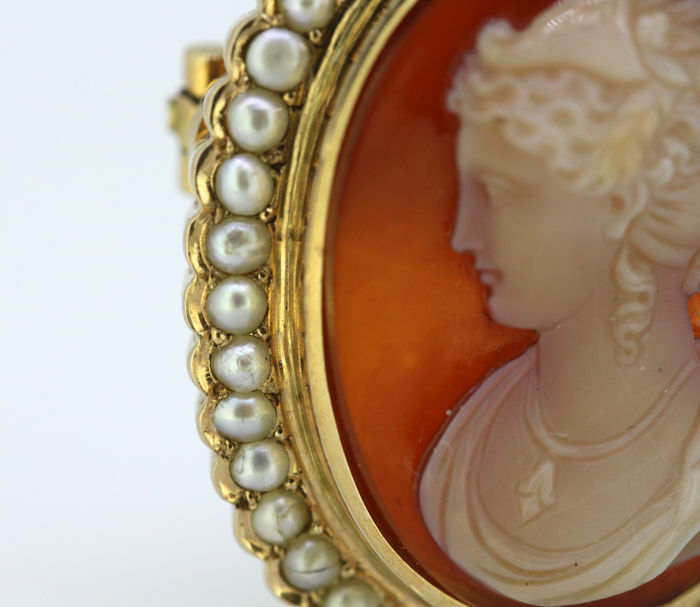 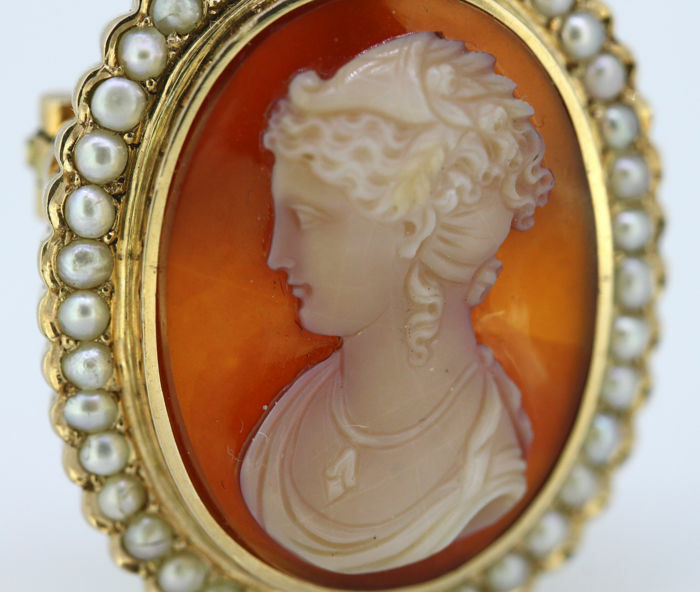 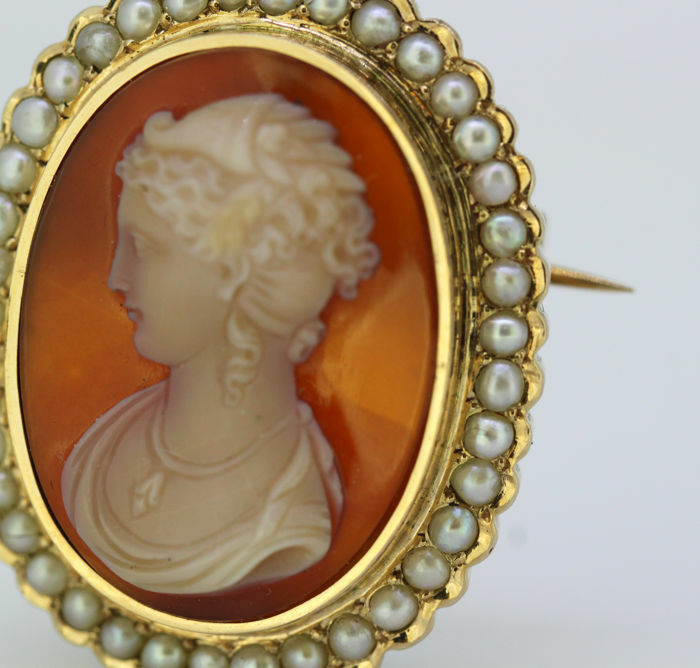 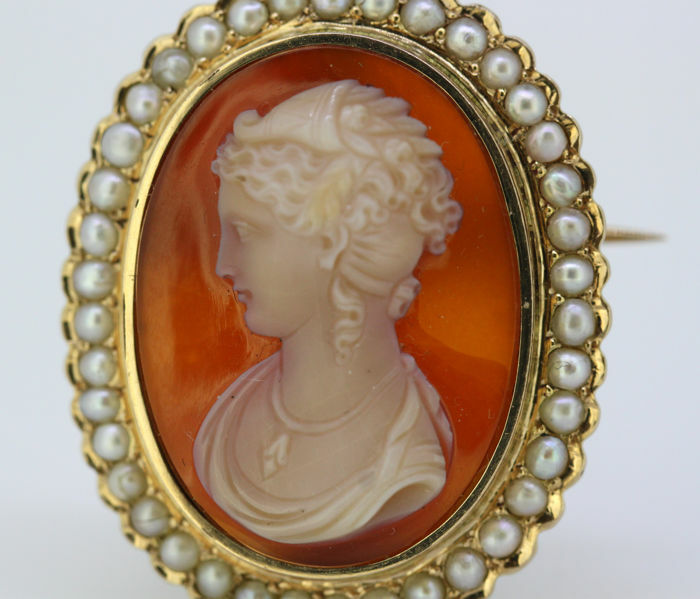 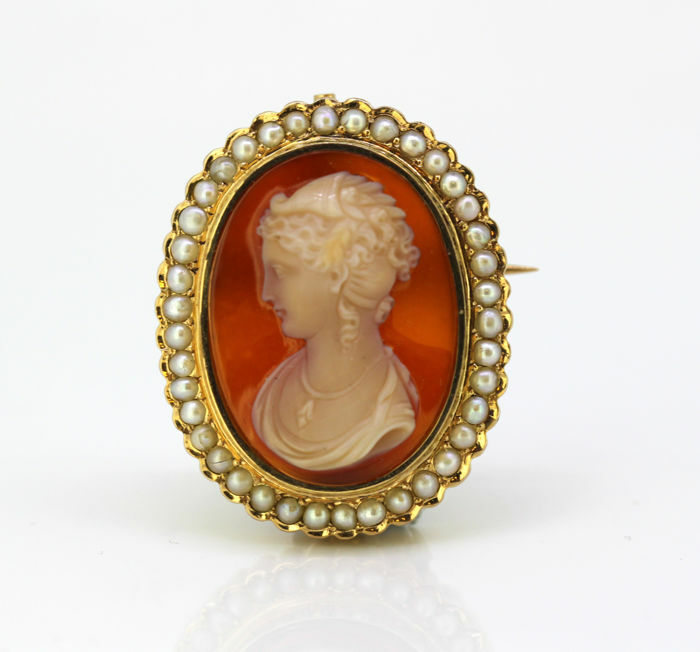 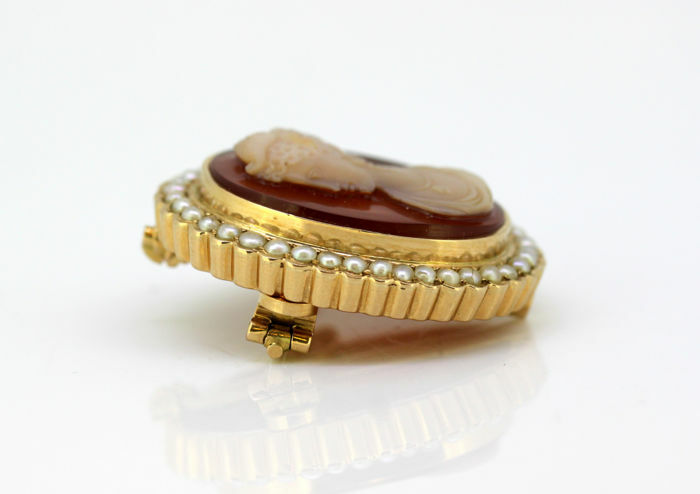 Antique French carnelian cameo brooch / pendant with freshwater pearls. 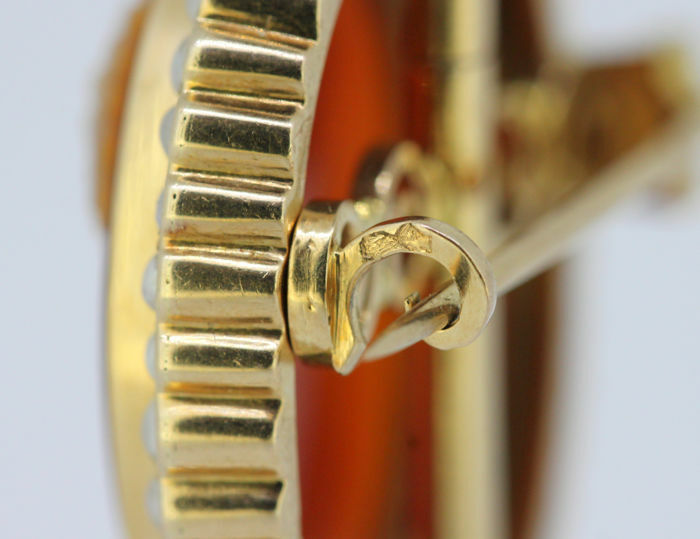 Hallmarked with eagles head, French standard for 18k gold. Condition: Has signs of general usage, no damage, excellent overall condition, please see pictures for a better judgement of the items condition.